Support and Spread the Love! You must be a member of the Dubai Changemakers Group to attend this activity. Would you like to join this group? A team from InterNations HQ in Germany, lead by Ms. Caroline Harsch is coming to Dubai and would like to film and promote our organization. They will capture video clips of the InterNations team spirit before, during and after the walkathon. This invitation is to encourage everyone to participate. Your privacy is assured; if you don't want to filmed you need only inform the team and this will be taken into consideration. We of course hope that there will be many participants amongst you that are not camera shy, and that we get some great footage for the feature. The more attendees, the more we can make this event successful. Come with your family and friends. The more the merrier. Lets Support and Show love for them. 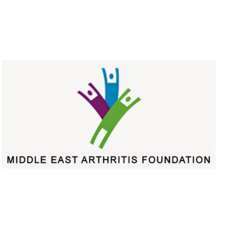 Join the Middle East Arthritis Foundation (MEAF) for the annual, free of charge Walk For Arthritis at Dubai Creek Park. Taking place on 22 February, this event serves to raise awareness for arthritis, a condition that affects millions of people around the world and almost 20% of the population in the Gulf region. The community walk is a 3.5km distance, which will start at 8am. It’s open to all ages and offers a range of fun activities for the whole family. This year’s walk is themed “Bones and Joints,” where you can deck out for a fancy dress competition and put yourself in the running to win exciting prices. Register in advance to book your spot in the walk. MEAF is a non-profit organisation working to improve the quality of life of people living with arthritis. It provides leadership training while seeking methods to prevent and cure the condition through research and awareness. Whilst the event is free to join, I am collecting donations on the day for MEAF, and will gladly accept any small amount you are able to contribute. 3.5KM Walkathon & A Fancy Dress Competition With 3 Chances To Win! Our Theme Is “Bones & Joints”. Come As A Funky, Colorful Skeleton, A Giant Joint, Or Anything In Between To Raise Awareness. Please sign up here if you are 100% sure attending.